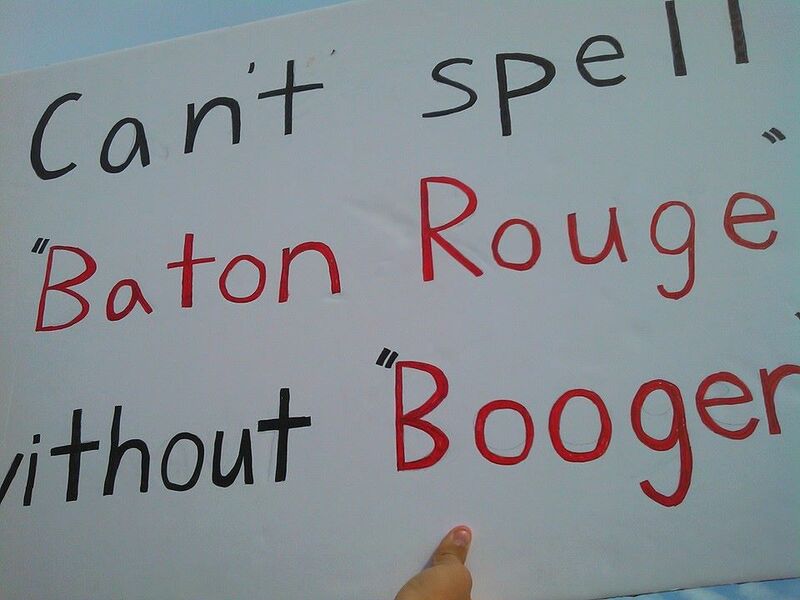 The cut off pieces of the sign finish off the statement “You can’t spell Baton Rouge without Booger.” Well done Wick, well done. I can only hope that is one of the LSU freshman we don’t know yet. Word has come down from the other tower concerning the 2014 regular season. I’ll highlight the things you need to know. 2. The Roster Deadline is 5pm MT, Friday, March 7, 2014, and you now must have 10 players on it (up from 7 in past years). 3. This didn’t change, but I figured I would include it: The USA Ultimate College Series will run from April 12 through May 26, 2014. Sectional Conference Championships are April 12-13 or April 19-20, and Regional Championships April 26-27 or May 3-4. 4. DIII teams must declare their path (take a spot at D1 regionals should they qualify through D3 conferegionals, or go to D3 natties) when they submit their school verified roster. 6. Contact call is here to stay it looks like, so start using it more. It is a huge asset to offensive players. 7. In case you’ve never noticed, doing handstands, playing pokey, rock/paper/scissors, or any other assorted game you might do instead of playing is illegal. WHEN WILL THE MADNESS END? We will come up with some kind of prize if someone gets a sign on TV. If you can get BAMA SECS on TV, the reward goes up. Any blown up faces of players count as well. Don’t let us down. Please add any other suggestions in the comments. I can only imagine what we can come up with. So Ultimate is an amazing sport built on the back of some of the greatest people I’ve ever met. We’re a rookie team where most rookie players are considered “veterans”. We struggle to execute some (read: most) of the fundamentals of Ultimate. That being said I think and I think most would agree we have a lot of potential. We have an amazing coach that lives breaths and eats Ultimate and some of the most dedicated players I’ve ever had the pleasure of playing a sport with. So about the weekend. SHUC 3 Auburn Alum 11: They played well and have a lot more experience than us. Really all that can be said. They’re just better. We probably could have put up more points by not turning the disc over but that probably goes without saying. SHUC 11 Tennessee B 3 Well we won one. Which is awesome. Which means we broke seed. I think we went into this game with a bit more confidence than the previous one and after a couple of back and forth points managed to get a run going. They played hard but we actually had something working that game . SHUC 2 LSU Y 11 We were down in the dumps this game. It should have been and very easily could have been a much closer game. We were not playing anywhere near the potential we have in this game. So stupid mistakes were more abundant than usual. LSU also played very well and took an early lead. They’ve got good players and good program. SHUC 6 Bama X 11 We played this with all the intensity that we lacked in the previous game. We came out hard and did our best. We lost to a much better team but managed to put up a few more points than they probably wanted, although they did have an all upside down point which may say something about their effort level. SHUC 4 Auburn Y 13 Again we just got beat by a better squad. There’s only so much to say about that. It was nice that we scored one more point on them than in our previous encounter in Ttown. So if anything we’re progressing. SHUC 6 Ole Miss 13 They’ve got some great handlers. They’re calm with the disc and can make good throws. They’ve got a lot of good spirit and give off a great vibe. I thoroughly enjoyed playing them. We played well I think overall just don’t have quite the handling skills we need. We managed to turn the disc over far to often in not only this game but every game simply because of bad throws and dropped passes. Say what you will about our coed team, but let it be known that we got a Callahan while running an all girl cup, more fondly known as three girls one cup. SHUC 10 UAB 9 So this game definitely could have gone either way. We were down a few players because of some injuries so subing was limited on our half of the field. The guys and gals that did play were focused though and we managed to pull out a come back victory. Maybe our playing was sloppy but we attacked the end-zones and managed to put ourselves on top. They played with the same intensity we did and had a good group of guys. At the end of the day I think if we keep it up in a few years we can become a competitive team. We’ve got a good deal of guys and gals that love to play ultimate and are willing to put in the time to get better. We lose a lot but we aim to change that. For the Fall season of our first official year I think we have a good foundation to build on. If the disc comes to rest on the playing field proper, a member of the team becoming offense must put the disc into play within ten seconds after it comes to rest. After ten seconds elapse, a defensive player within three meters of the disc may announce disc in, and then initiate and continue the stall count, but only if a defensive player has given audible warnings of ten and five seconds (the pre-stall). If an offensive player unnecessarily delays putting the disc into play in violation of rule XIX.B, a defender within three meters of the spot the disc is to be put into play may issue a delay of game warning instead of calling a violation. If the behavior in violation of rule XIX.B is not immediately stopped, the marker may initiate and continue a stall count, regardless of the actions of the offense. In order to invoke this rule, after announcing delay of game, the marker must give the offense two seconds to react to the warning, and then announce disc in before initiating the stall count. It is the responsibility of all players to avoid any delay when starting, restarting, or continuing play. This includes standing over the disc or taking more time than reasonably necessary to put the disc into play. The only time the prestall can be ignored is if someone is standing over a disc, the defender announces “Delay of Game,” and the offensive player over the disc still does not put the disc into play within the allotted 2 seconds. IF all of these conditions are met, THEN you can begin stalling even though the offensive player does not have the disc in his hands. 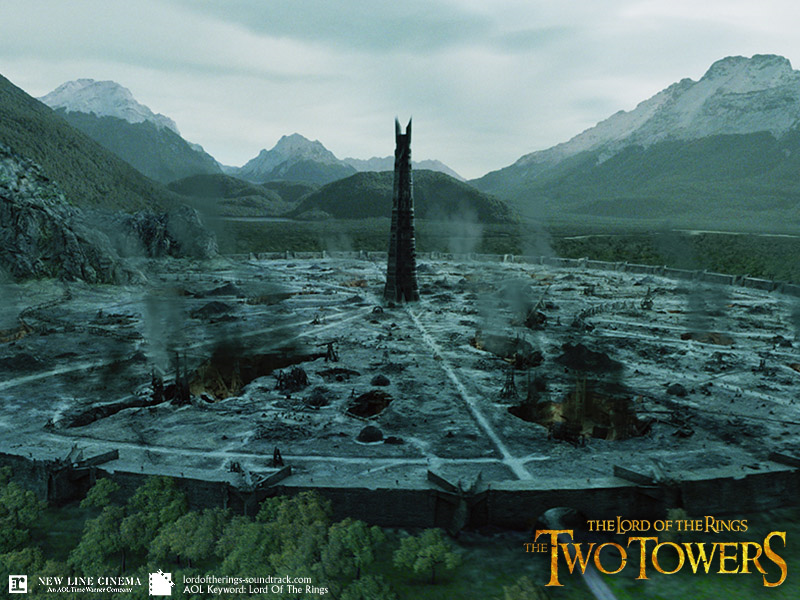 You thought we weren’t in attendance this weekend, but like Sauron’s eye, our gaze reaches far. Just know that wherever you go to play flying collegiate Frisbee football, we know. This post is a contribution from one of our many minions. You think this site is written by 3 people? First of all, Auburn hosted a tournament for the first time ever (or at least since back in the 90’s, if you believe one person in attendance, who claimed that there was one during that timeframe that consisted of Auburn, a military team, a Girl Scout Troop and some local churches) and it was well attended, well organized and the weather was perfect (well, except for the winds, which made hucks an adventure about half the time). The games were played on the school’s IM fields, which may make most players shudder with thoughts of Cowbell from last year. ****Editor’s note- the CBC mud-tastic fields last year were the backup fields. The actually IM fields are decent, if not too small**** However, Auburn’s are reasonably well maintained, but not as nice as Tupelo or Decatur. There are a few dips and holes and the grass looks like it is used for intramural soccer and football, which it is. Parking was adequate, but heaven forbid you left something in your car, because it could be a trek to retrieve it. Restrooms were also located too far away from most of the fields, unless you were on the end nearest the women’s teams.